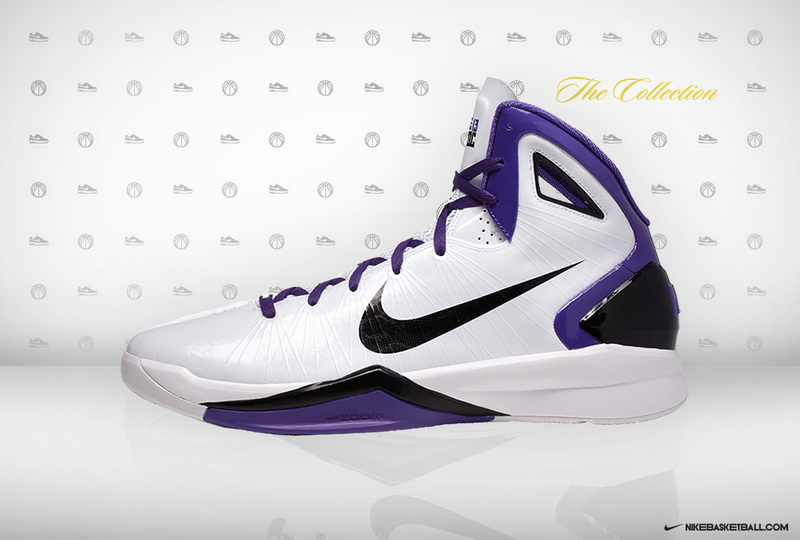 Find out what Tyreke Evans is wearing for Sacramento's home games. Team for team, the NBA's point guard position may be better than it's ever been. Leading the charge for the Sacramento Kings is 2009-2010 Rookie of the Year Tyreke Evans. Last season, Evans joined Michael Jordan, Oscar Robertson and LeBron James as the only players to average 20 points, 5 rebounds and 5 assists in their rookie campaigns. Not bad company, huh? No longer one of the league's best kept secrets, it's now up to Evans to lead the Kings back to their early 2000s prominence. The chosen footwear for his sophomore season? 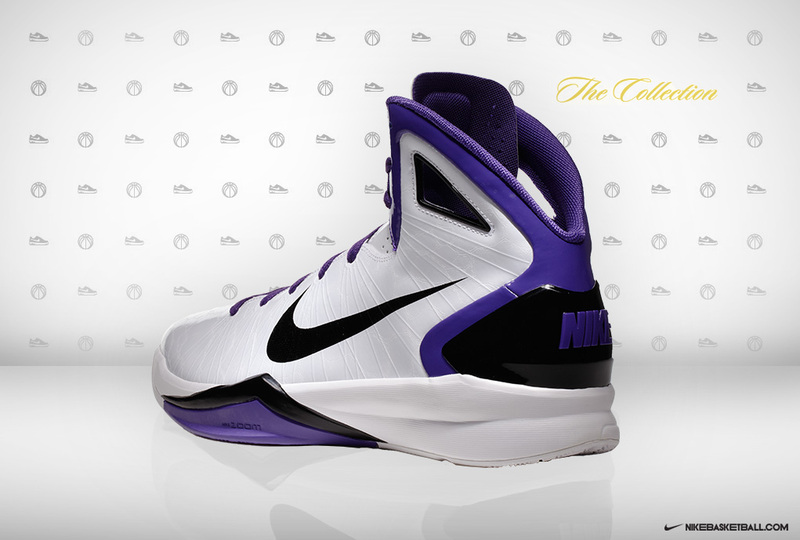 Player exclusive colorways of the Nike Hyperdunk 2010. 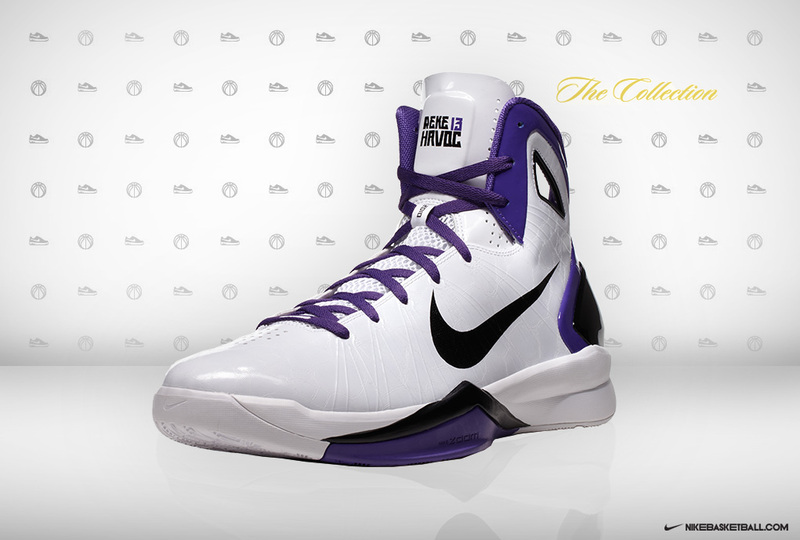 Here's a closer look at the pair Evans is wearing for home games. White leather does majority of the work on the home Evans PE, with hits of black on the Swoosh, midsole and heel counter. 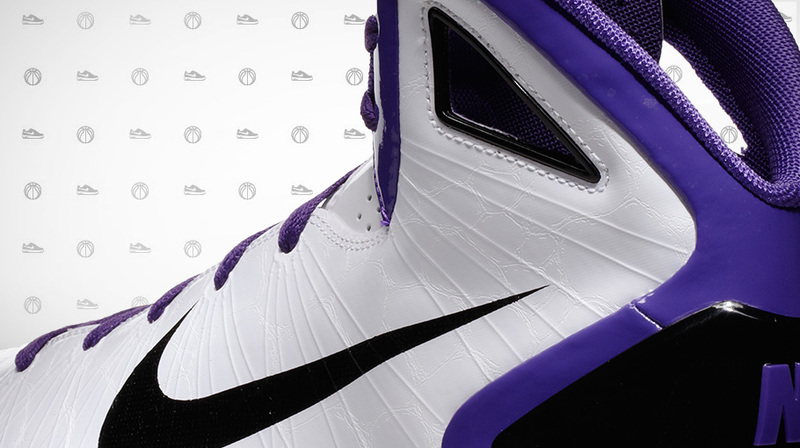 Most noticeable is the use of varsity purple, seen on the inner liner, ankle and heel trim, laces and outsole. Personalization comes in the form of a "Reke Havoc 13" graphic on the tongue in black. Fans of Evans and his Hyperdunk 2010 exclusvie colorways will be happy to know that you can pick up the away pair at House of Hoops today.